After a long anticipation finally 4G services has launched in Kerala. Airtel is the first service provider to bring 4G to God's own country. In the initial stage, 4G services can be experienced in the city limits of Kochi and Kozhikode. After the long anticipation, 4G services has been launched in Kerala. Airtel is the first service provider to bring 4G to God's own country. In the initial stage, 4G services can be experienced in the city limits of Kochi and Kozhikode. Sources claim that they will extend their services to Thriuvanathapuram soon, but they haven't revealed when it will happen. The commercial launch of Airtel 4G in Kerala (Kochi) was held on August 25th. From August 26th, the services is available in Kozhikode also. Now Airtel users can upgrade their existing sim to the brand new 4G Airtel sim with no additional charges. 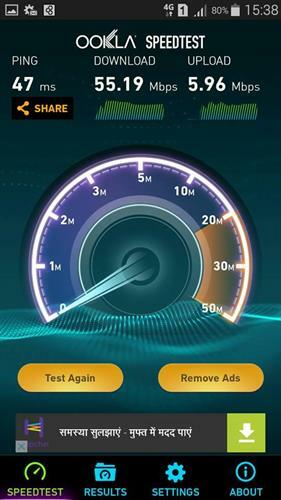 After the launch at Kochi, few of us were invited to experience the ultra high speed 4G services. We had an amazing experience with Airtel 4G. Never before I had such an amazing experience with 'buffering-less' Youtube and heavy downloads in couple of minutes. 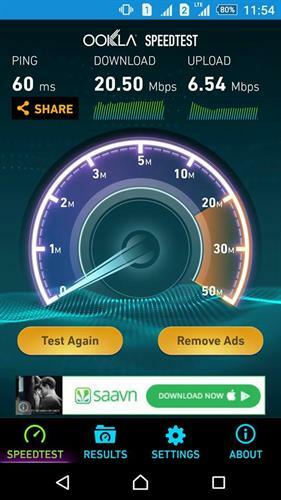 At Kaloor, we experienced an average 30 Mbps downloading speed and at a particular point it reached even upto 55 Mbps. At Ernakulam South Railway station, I got almost 20 Mbps speed. We got uninterrupted 4G network while we were traveling from Ernakulam South Railway station to Thripunithura. It is not sure whether Airtel can sustain this speed after the service is open to wide number of users. Let's explore how to get Airtel 4G in Kerala. The aggressive competition between 4G service providers would be the hot news at the end of this year. Airtel can claim that they are the first service provider who successfully implemented 4G services in almost 300 cities across India. Airtel launched first 4G services in Kolkata in April 2012. Even though Idea, Reliance Jio and Vodafone are coming to the game, Airtel will get the first-mover advantage. The launch in Kerala exactly coincided with the festive season of Onam. Reliance Jio- 36 circles (PAN India). Anyhow until the end of 2015, Airtel will have the monopoly status in providing 4G services. How to get Airtel 4G? Most people are curious about the new 4G experience and they are constantly asking how to get Airtel 4G on their phones. Here I am sharing the ways in which you can access Airtel 4G on your phones. you must be possessing a 4G supported handset for upgrading to 4G. You can check your device info and Airtel 4G compatibility test to make sure whether your existing handset is 4G supported. If it doesn't, don't get intimidated by thinking that you have to spend a large amount of money for a new 4G handset. 4G handsets are available from Rs. 6000. Redmi 2, Lenovo A6000+, Moto E (Second Generation), Moto G (Third Generation), Samsung A series, iPhone, Xiaomi note 4G, One Plus, Samsung Core Prime 4G etc are 4G supported handsets. The distribution of Airtel 4G sim is done in an excellent way. A user can request for a 4G sim by simply registering the form given in the Airtel 4G portal and they will soon bring the sim at your doorsteps. After getting the Airtel 4G sim, we have to swap the existing sim. No additional documentation needed. Along with every 4G SIM swap, Airtel offers 6 months of unlimited music streaming and downloads on 'Wynk Music' and movie downloads from Eros Now channel of 'Wynk Movies'. Find the 20 digit SIM number inscribed on the back of the new 4G SIM. After this they will ask to reply with 1 for confirmation, so type 1 and confirm. Now you have to wait for the existing SIM to disconnect from the network. This might take few minutes. Wait until the SIM gets disconnected. The new SIM will be activated soon and you will receive various APN settings, and make sure you save them properly. Now you are all set! Enjoy. Upgrading to Airtel 4G is totally free and Airtel is giving away 4G at the same price as 3G. If you are a postpaid customer, the existing 3G postpaid plan will help you to the access the same quota on 4G speeds. And if you are a prepaid user you should go for a 4G recharge. If you are using the 4G prepaid pack and you are not under the 4G field, your network will be rolled back to 2G and if you need to experience 3G you have take additional 3G pack. If you are using the 4G SIM in a 3G phone, it will function as a normal SIM and can experience 3G. 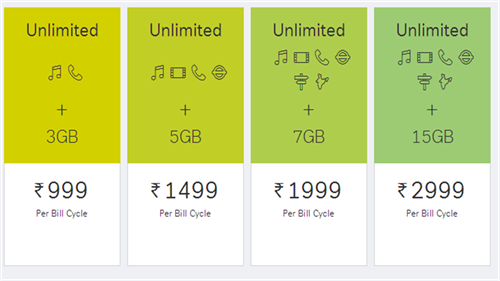 This is the tariff shown on the Airtel site for Kochi. Please note that the above tariff rates are subject to change. As of now, they match the 3G tariff.